Buy 3 or more books from the Constitutional Systems of the World series and get 30% off your order! Once you have successfully made your inspection-copy request, you will receive a confirmation email explaining that your request is awaiting approval. On approval, you will either be sent the print copy of the book, or you will receive a further email containing the link to allow you to download your eBook. 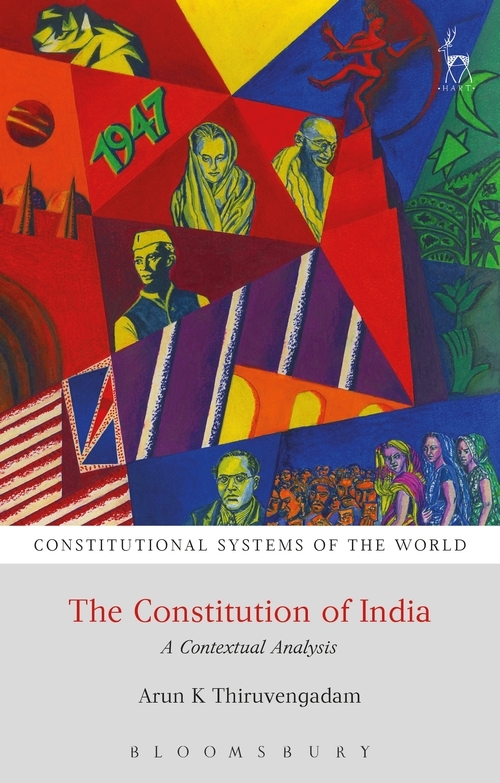 This book provides an overview of the content and functioning of the Indian Constitution, with an emphasis on the broader socio-political context. It focuses on the overarching principles and the main institutions of constitutional governance that the world's longest written constitution inaugurated in 1950. The nine chapters of the book deal with specific aspects of the Indian constitutional tradition as it has evolved across seven decades of India's existence as an independent nation. Beginning with the pre-history of the Constitution and its making, the book moves onto an examination of the structural features and actual operation of the Constitution's principal governance institutions. These include the executive and the parliament, the institutions of federalism and local government, and the judiciary. An unusual feature of Indian constitutionalism that is highlighted here is the role played by technocratic institutions such as the Election Commission, the Comptroller and Auditor General, and a set of new regulatory institutions, most of which were created during the 1990s. A considerable portion of the book evaluates issues relating to constitutional rights, directive principles and the constitutional regulation of multiple forms of identity in India. The important issue of constitutional change in India is approached from an atypical perspective. The book employs a narrative form to describe the twists, turns and challenges confronted across nearly seven decades of the working of the constitutional order. It departs from conventional Indian constitutional scholarship in placing less emphasis on constitutional doctrine (as evolved in judicial decisions delivered by the High Courts and the Supreme Court). Instead, the book turns the spotlight on the political bargains and extra-legal developments that have influenced constitutional evolution. Written in accessible prose that avoids undue legal jargon, the book aims at a general audience that is interested in understanding the complex yet fascinating challenges posed by constitutionalism in India. Its unconventional approach to some classic issues will stimulate the more seasoned student of constitutional law and politics. Arun K Thiruvengadam Professor of Law at the School of Policy and Governance, Azim Premji University, Bengaluru, India.